Available from Amazon, iTunes, Google Play, Spotify and Deezer. 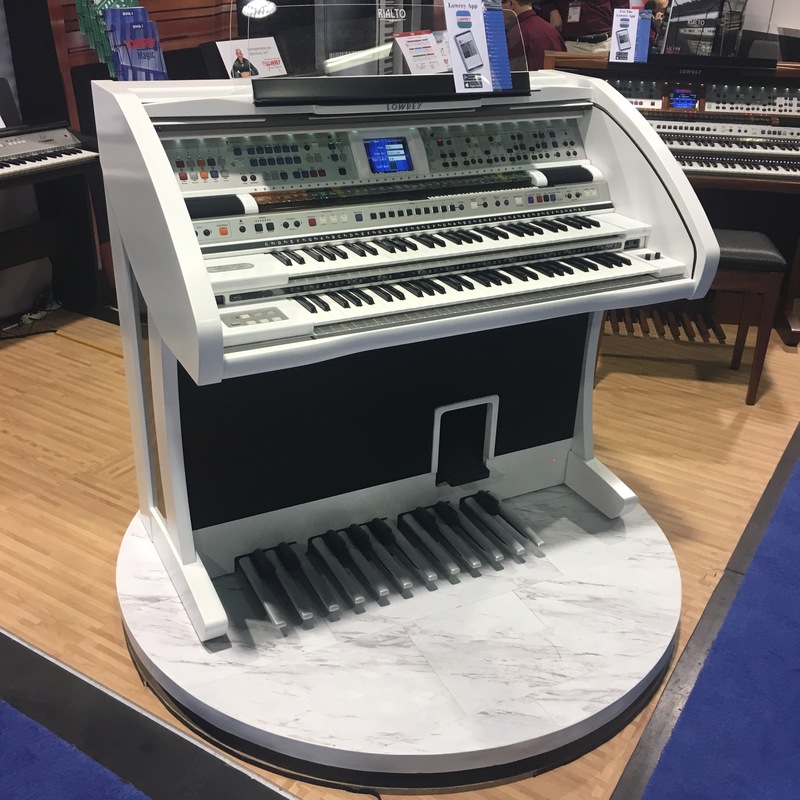 2018 marks my 7th NAMM in as many years. 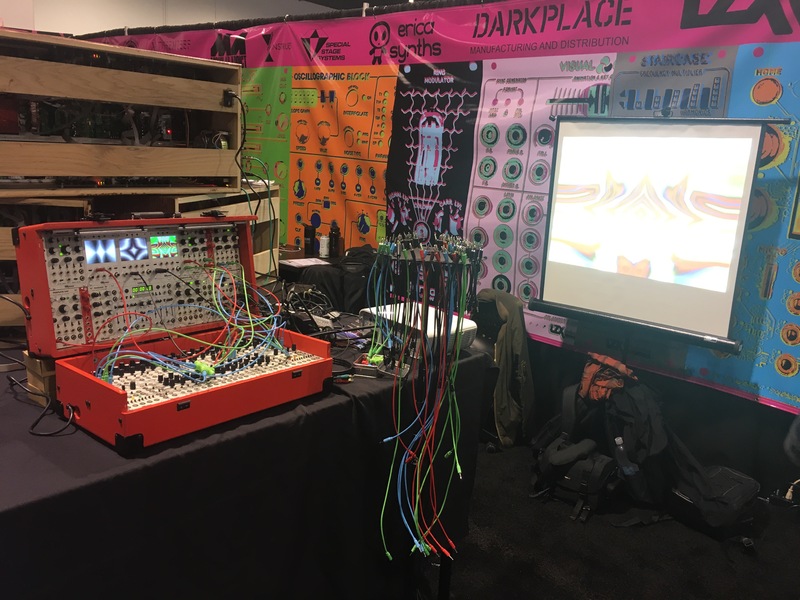 I first started going in 2012 to get the scoop on modular synthesizer news and post pics before everybody else had a chance, but in the intervening years, modulars have moved up from the back corner of the subterannean Hall E to the front row of Hall A. 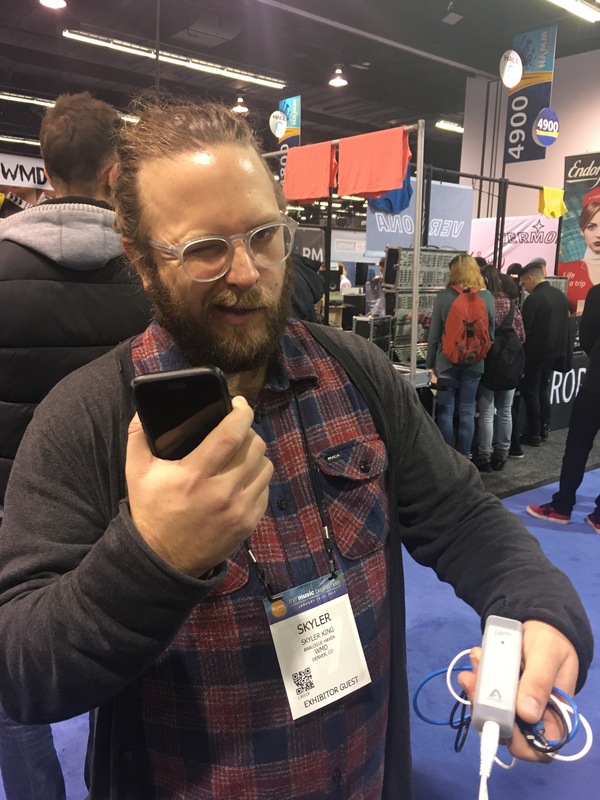 Now roaming crews with video cameras are there as early as Wednesday before NAMM even starts getting vids of all the cool new modular synth stuff! 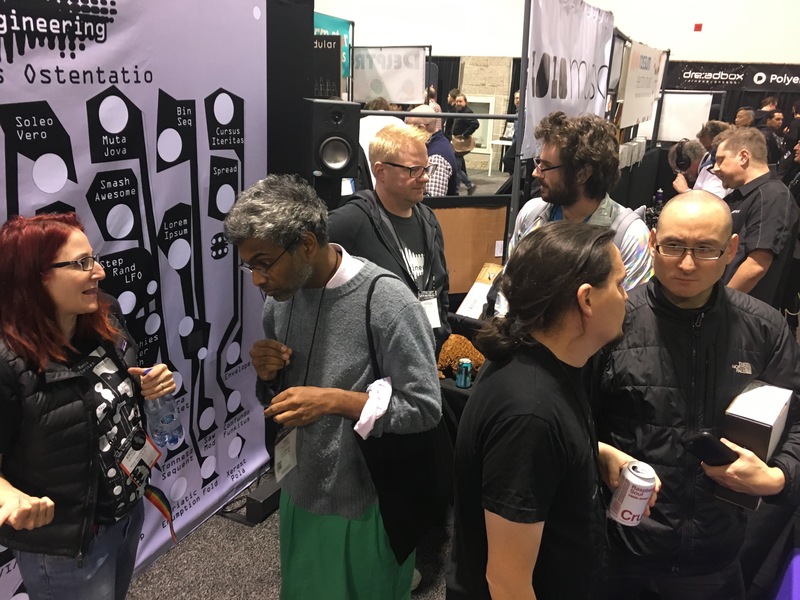 So this year, in my post modular-synth-blogging-retirement, I was invited to help out at the Noise Engineering booth. 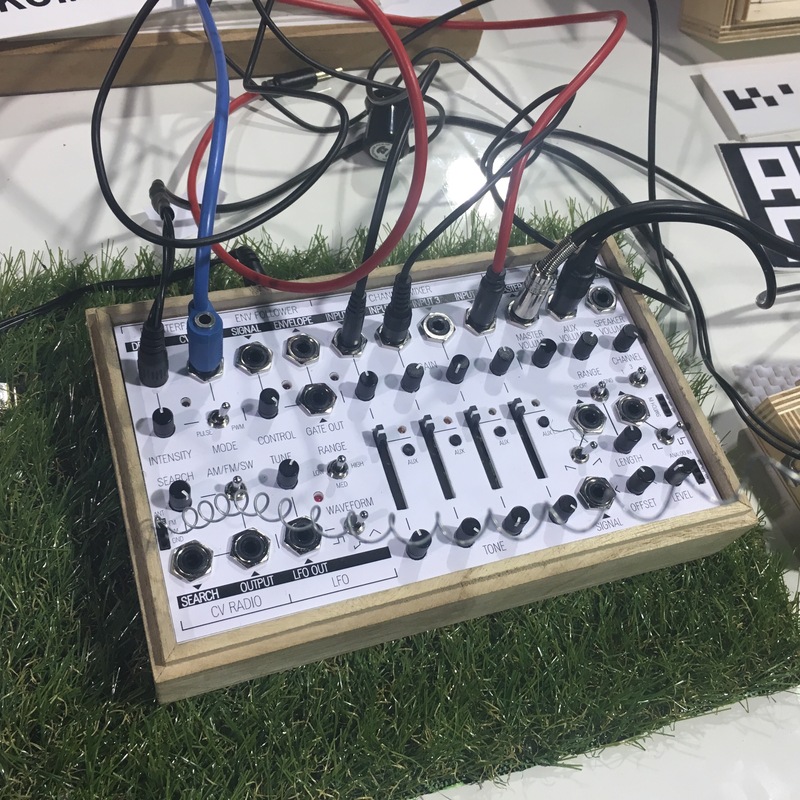 Bin Seq, a 4HP switchable gate sequencer (you can make the gate on, off or on for the full length of the beat, so you can chain steps into one long gate if desired – simple, but powerful). 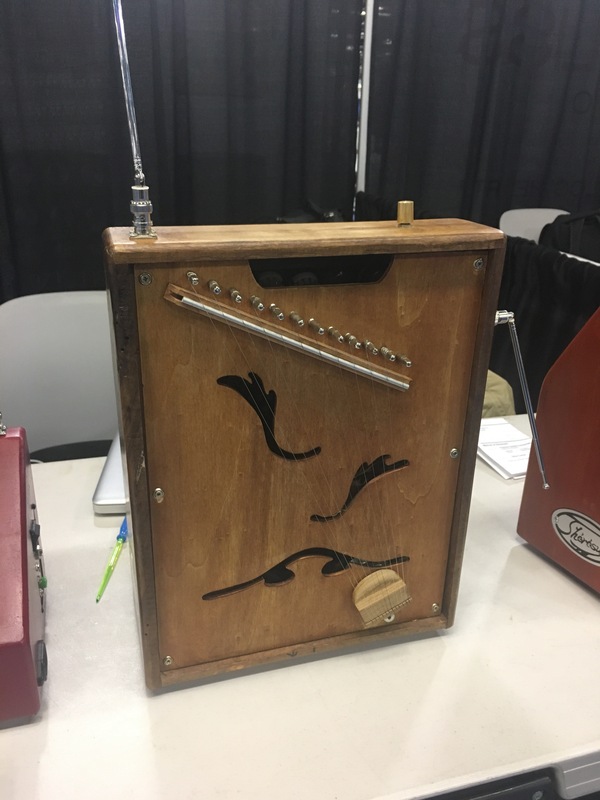 Muta Jovis, a 4HP quad mute. 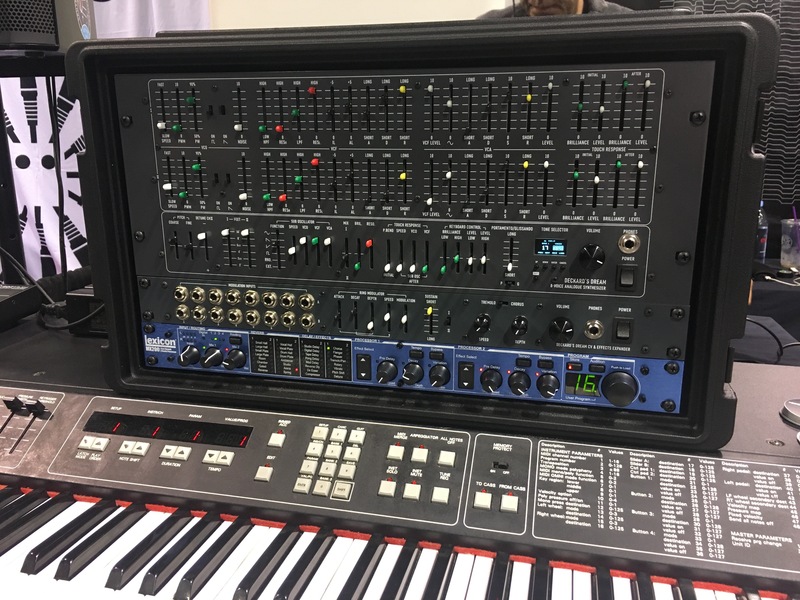 Soleo Vero, a strobo-tuner that you can have up to3 oscillators always plugged into (each input has a pass-through output). 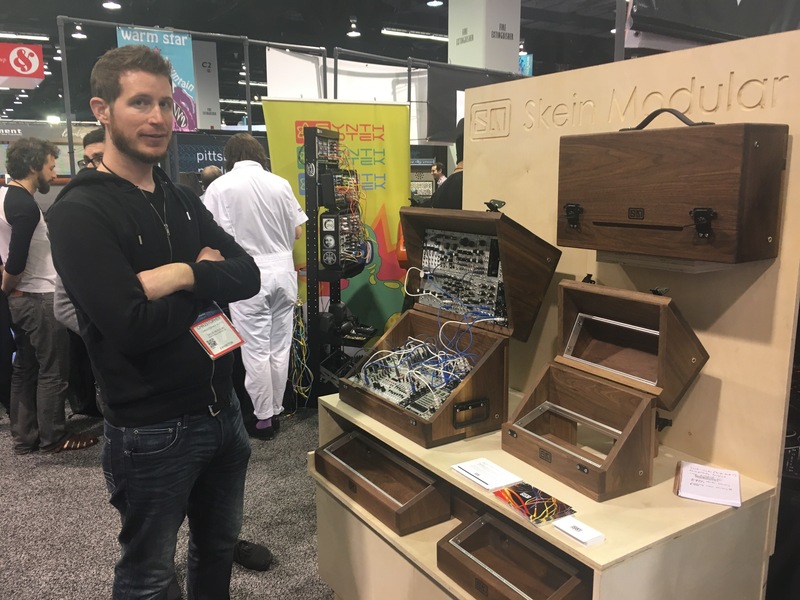 There were lots of familiar faces and new people as well in the modular booths. It’s really cool to see how happening it all is now. Even J.J. Abrams came by and was checking out all the new stuff! It was a busy first day. 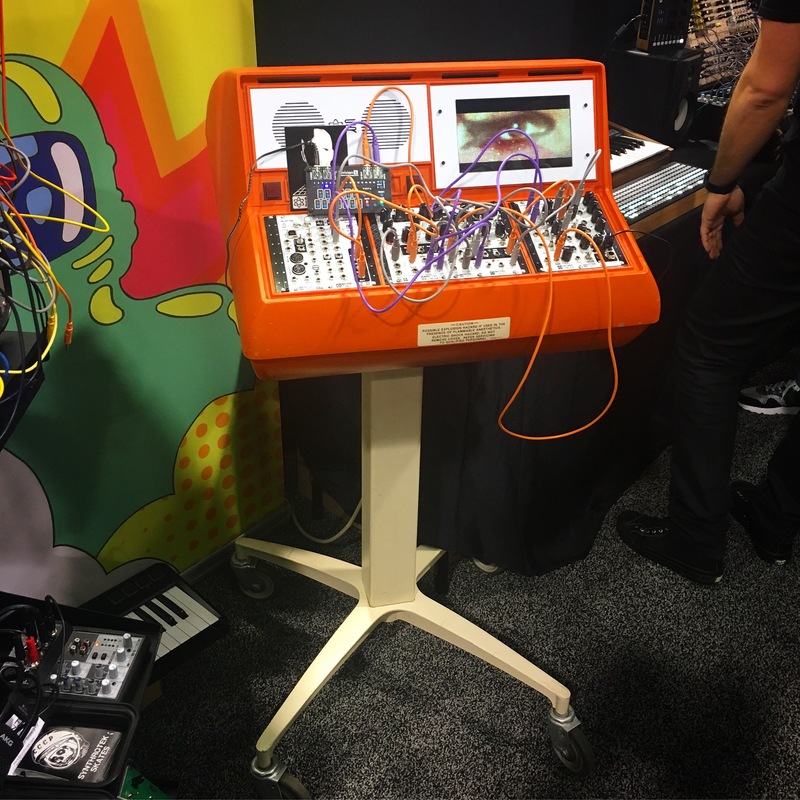 QuBit had a cool rig under plexi that had a frame with interactive controls. 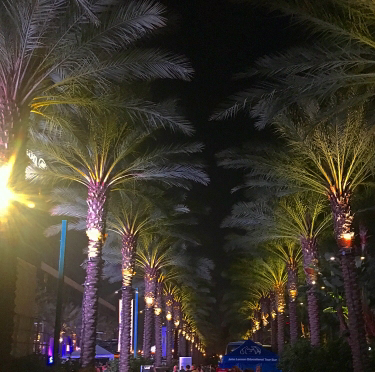 A good way to keep out the NAMM-thrax! 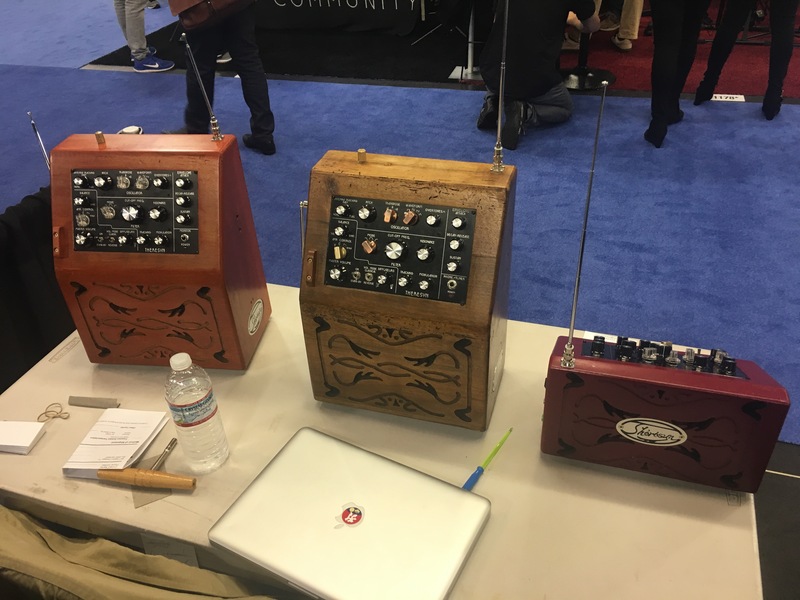 People were also excited about the Magneto tape delay emulator module from Strymon. I didn’t get over to check it out, but it sounds like it’s a winner. 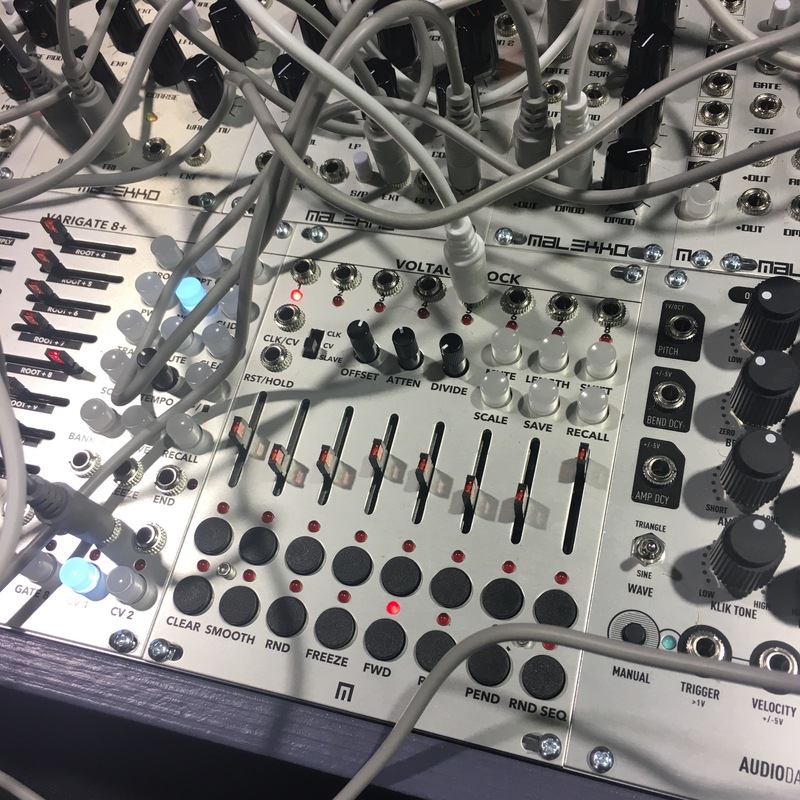 I didn’t get very many photos this year as I was working at the booth, and the modular world is so well covered, I figured I didn’t need to get pics anyway! 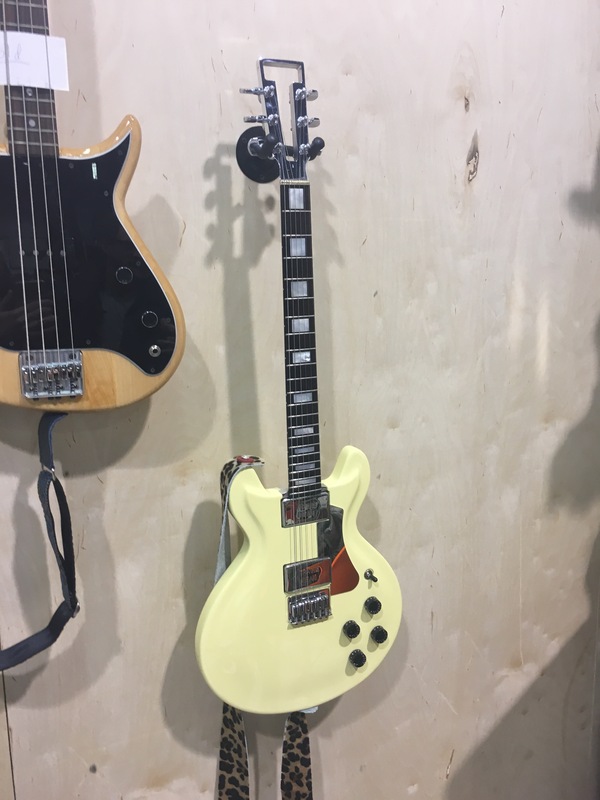 But when I went off to grab lunch, I wandered over to see some interesting guitars. 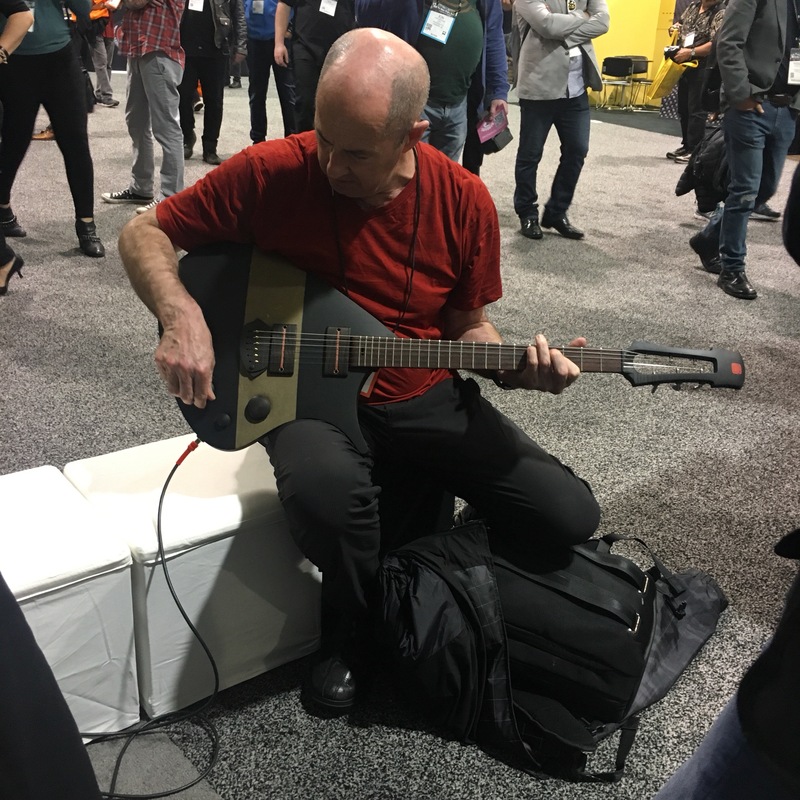 I ended up at the Luthiers Beyond Limits booths and happened to meet Henry Kaiser, who was super cool and gave me a copy of his most recent CD. 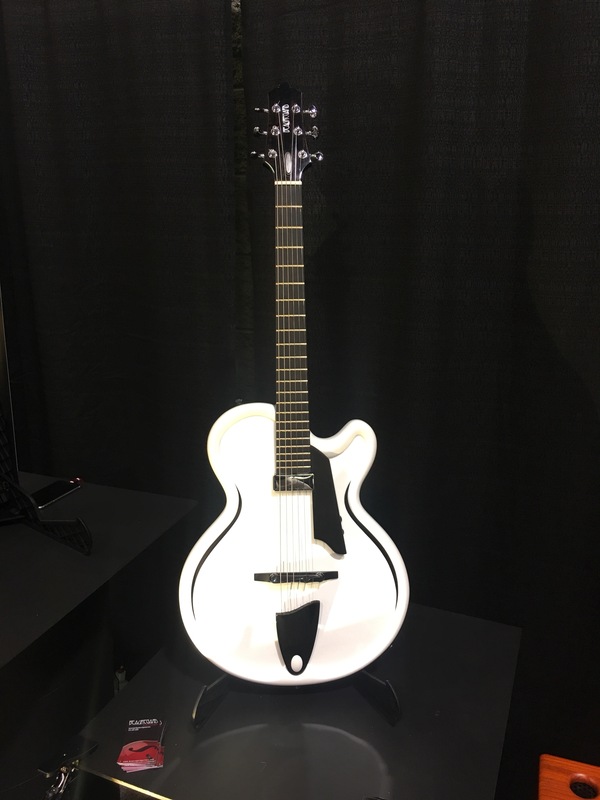 And that’s about it for me from NAMM this year. Thank you for stopping by! See you in 2019! 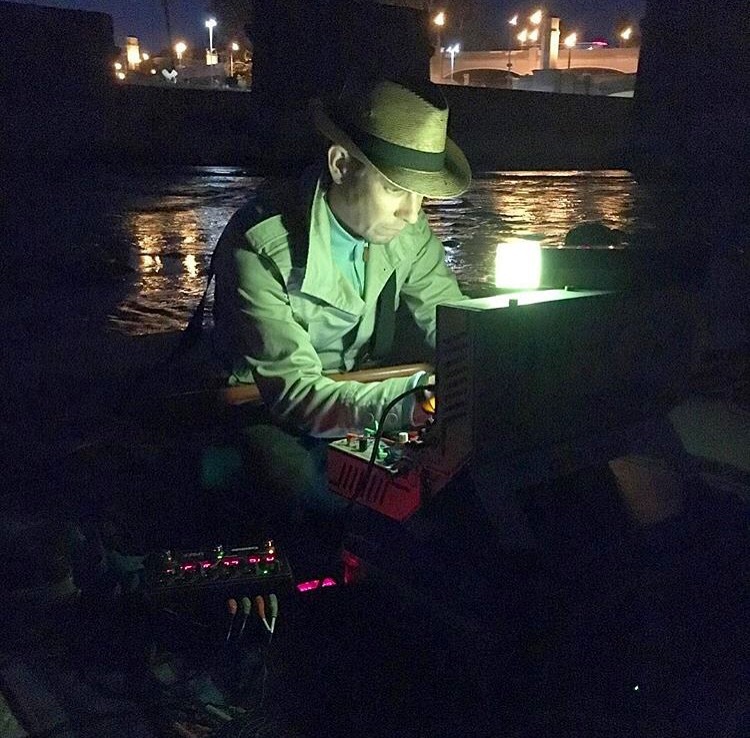 Von Doog‘s Initiation is a set of tracks from an ambient live performance on 2/3/2017 as part of the Statues And Attitudes show (created and curated by Jade Gordon and Megan Whitmarsh) at the Human Resources gallery in Los Angeles. The tracks were recorded directly from the mixer. 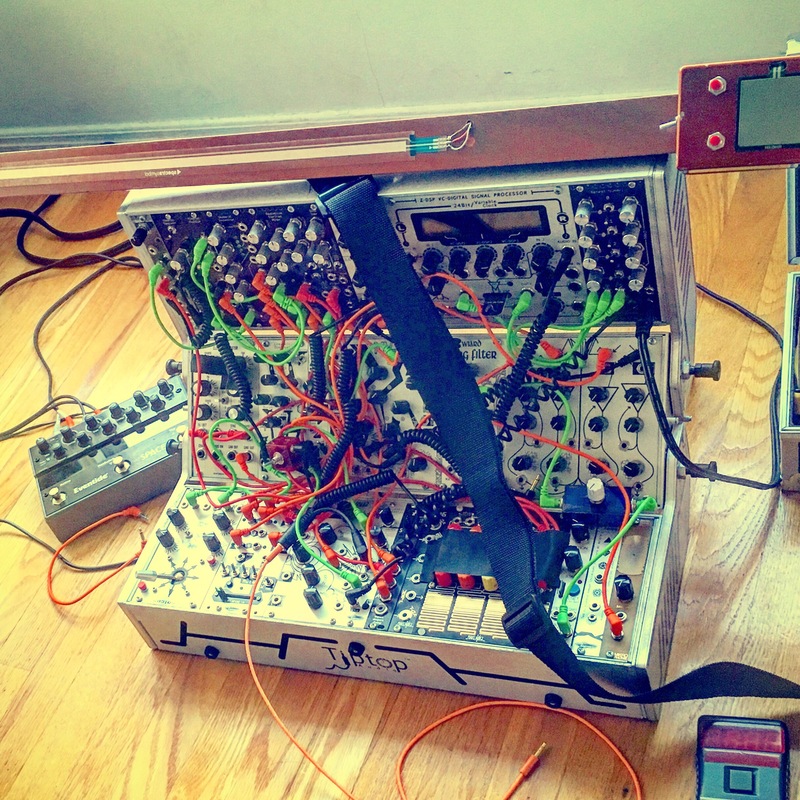 Instruments are guitar synthesizer, modular synthesizer and theremin. 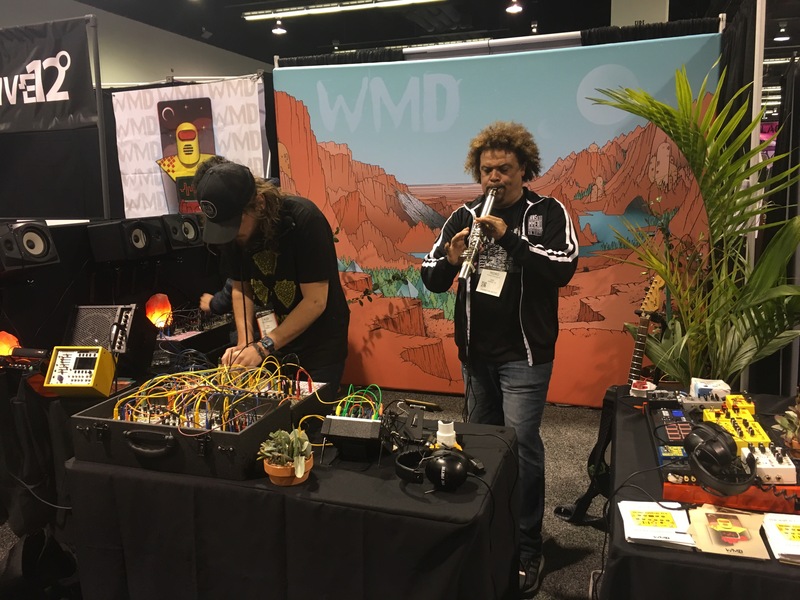 Von Doog’s contribution to the show was to provide sonic weather, auditory incense and empathic musical feedback. Choices and decisions regarding which devices to use and their settings were influenced by oracles and oblique strategy cards. 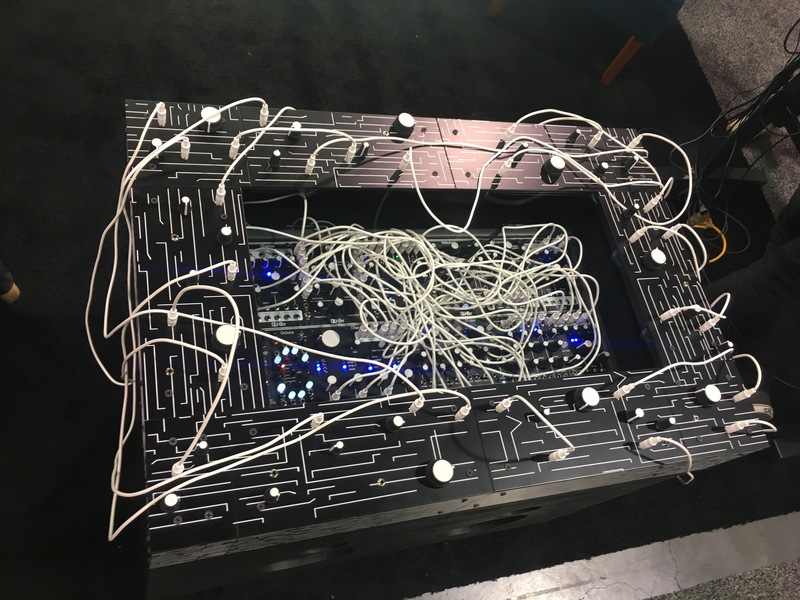 Loops were created and embellished in real time. Recurring motifs recirculate within tracks and among different tracks. Some passages are answers to questions put forth by individuals chaperoned by resident translators. 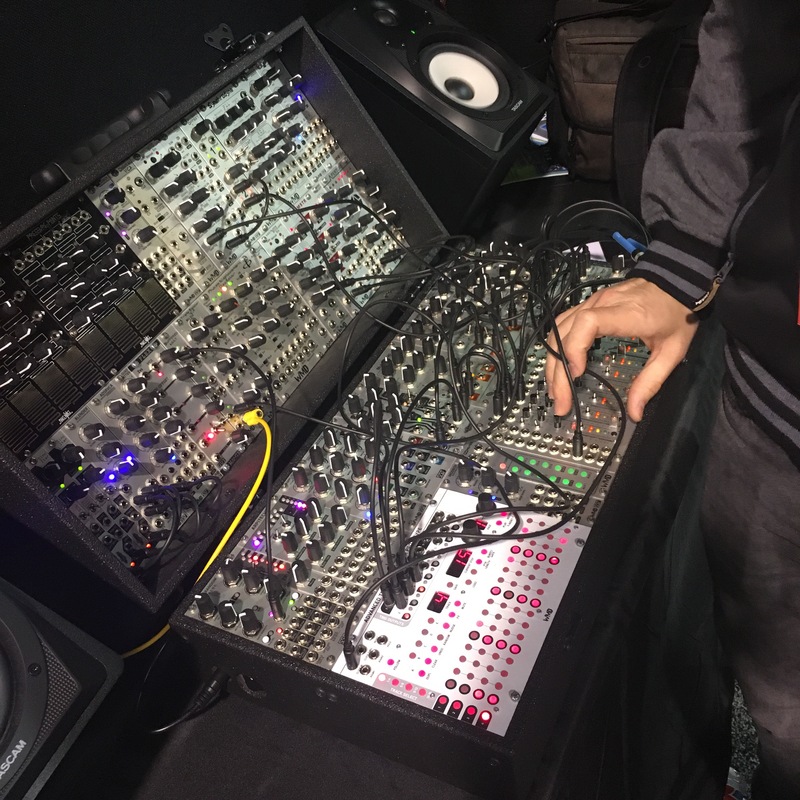 Modular on the Spot had it’s 2 year anniversary last month and Pocket Computer (Stephen McCaul of Noise Engineering and myself) did a set to close out the evening. 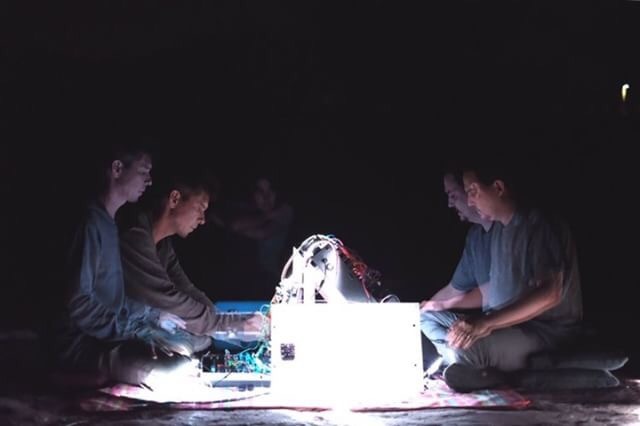 It was a great night with a beautiful sunset and awesome bill of performers (Mike Dobler, Rodent516 (Eric Cheslak), Andrew Ikenberry, C1t1zen (Kylee Kennedy). 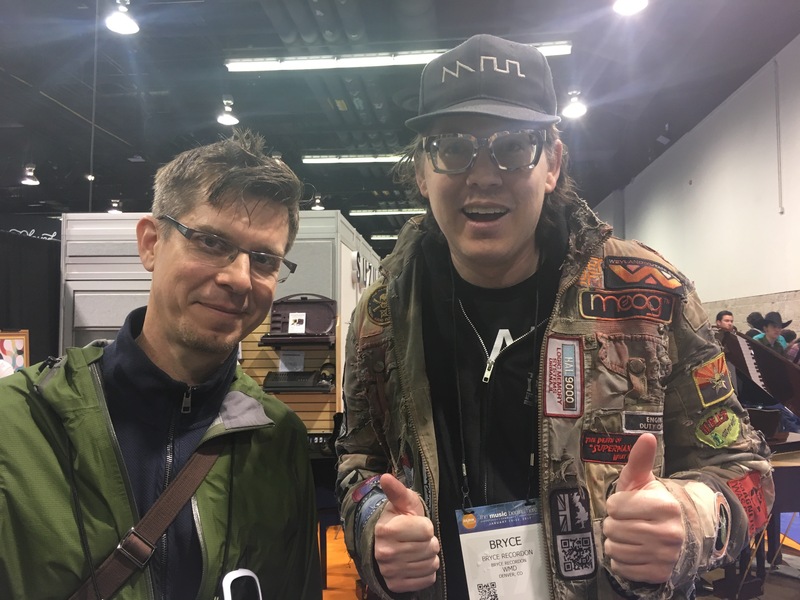 Tom Hall (yet another modular synth performer!) wrote about the evening here. And the LAist wrote a story about the LA monthly event here (the event now has spread to cities across the world). Hats off to Bana Haffer and Rodent for managing to pull this off for 2 years! 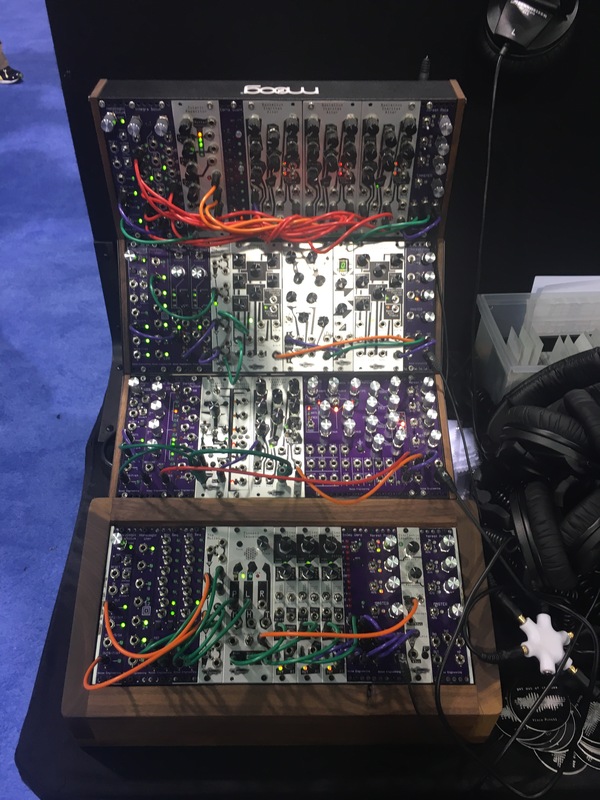 Since my first NAMM visit in 2012, every year I have posted about modular synthesizers (and other interests) at the end of the first day to get the word out to those interested. 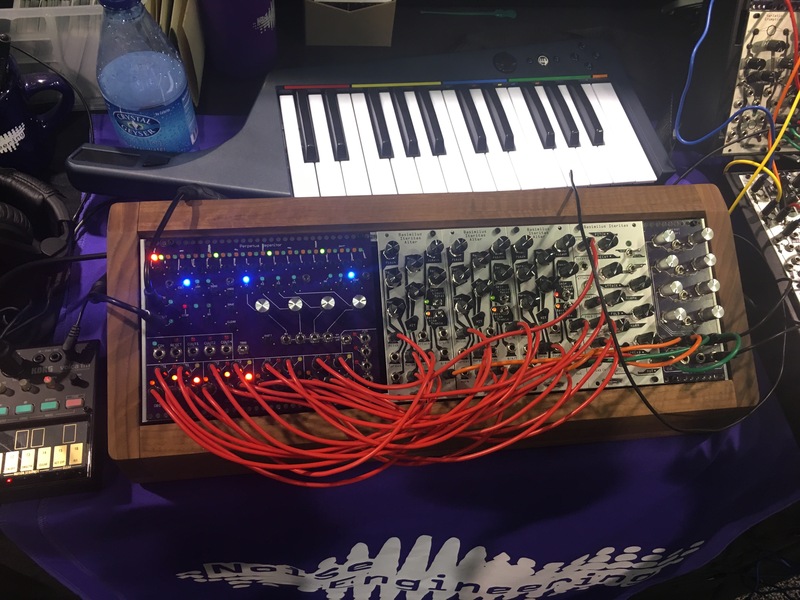 In the intervening years, modulars have become popular enough that professional music media outlets cover all the new stuff, sometimes as early as the day before NAMM starts, so no more scoops for me. I am officially retired! 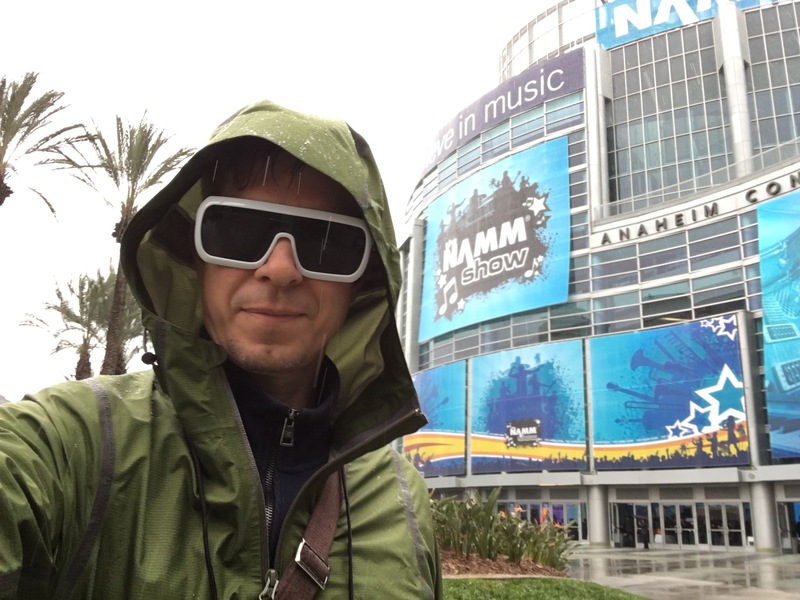 So I went to NAMM this year with a more casual attitude (on rainy Friday, day 2, even!) and chatted with lots of friends, met some people, saw a lot of cool new stuff and still have some photos to share. I won’t go into great detail about anything, since it’s covered elsewhere. Come on in and check it out! 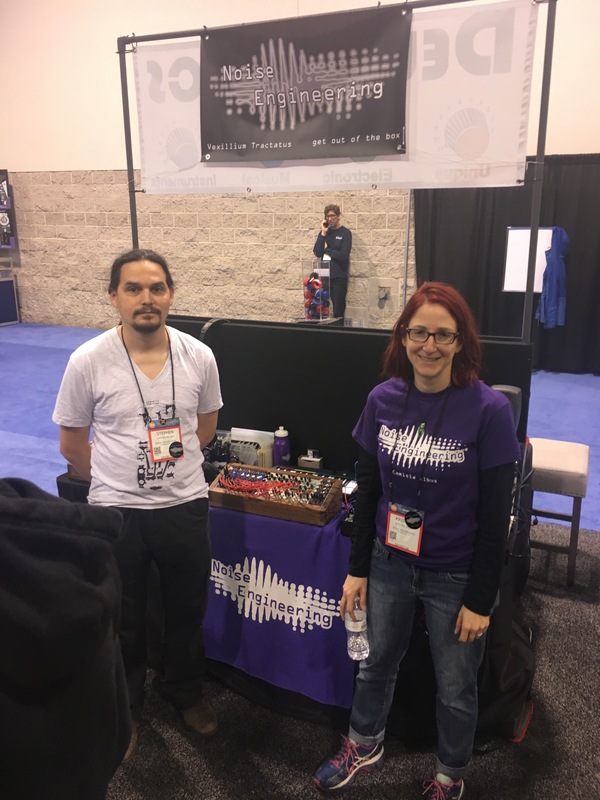 Below are Kris and Stephen at the Noise Engineering booth. I had my pass thanks to them! 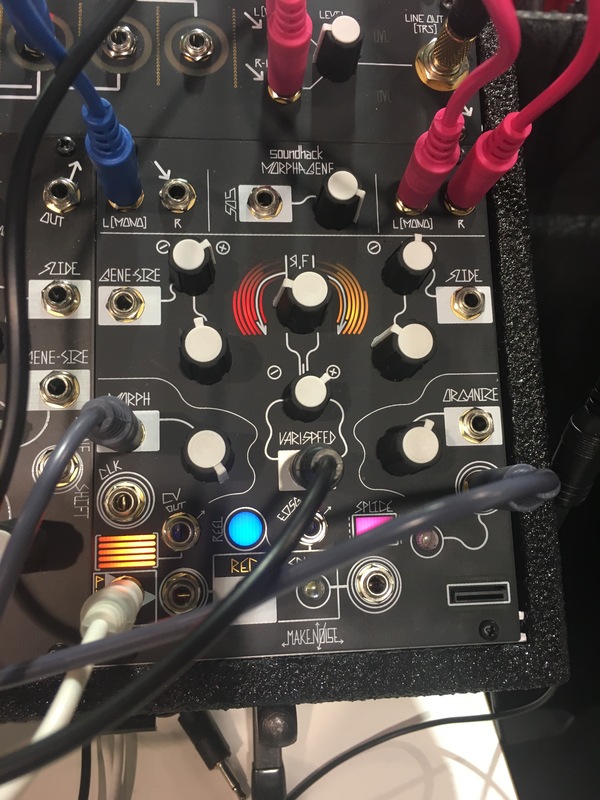 I am an occasional helper at Noise Engineering as a beta tester for their modules as well as sometimes making design and feature suggestions. 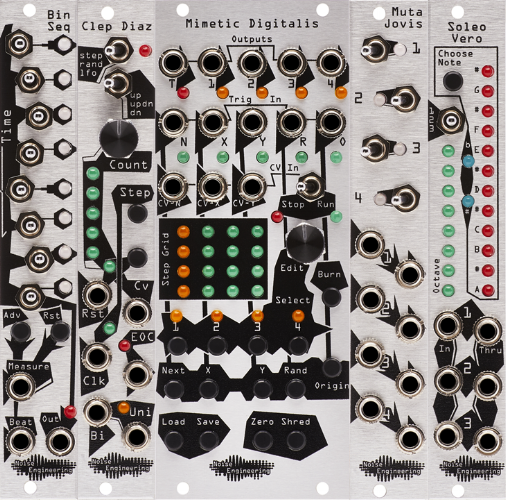 I can’t wait for this sequencer! 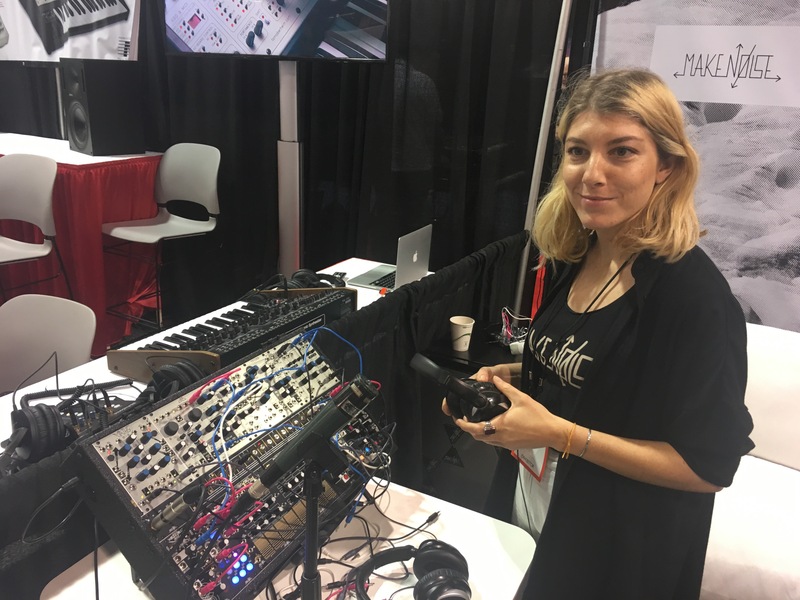 And Bana Haffer was doing demos at the Make Noise booth. 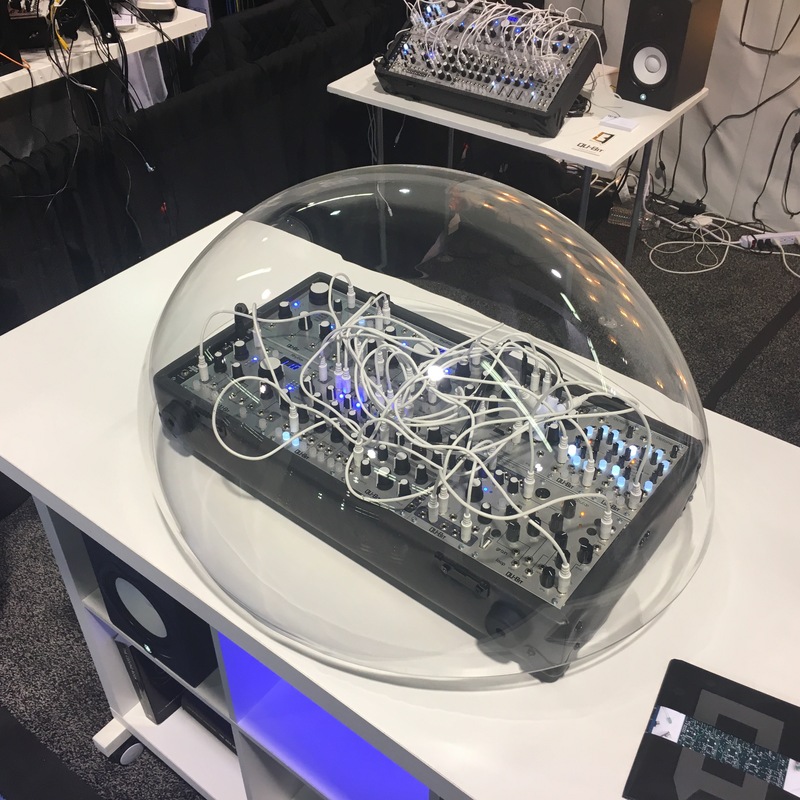 The QuBit bubble that everyone had to take a photo of! 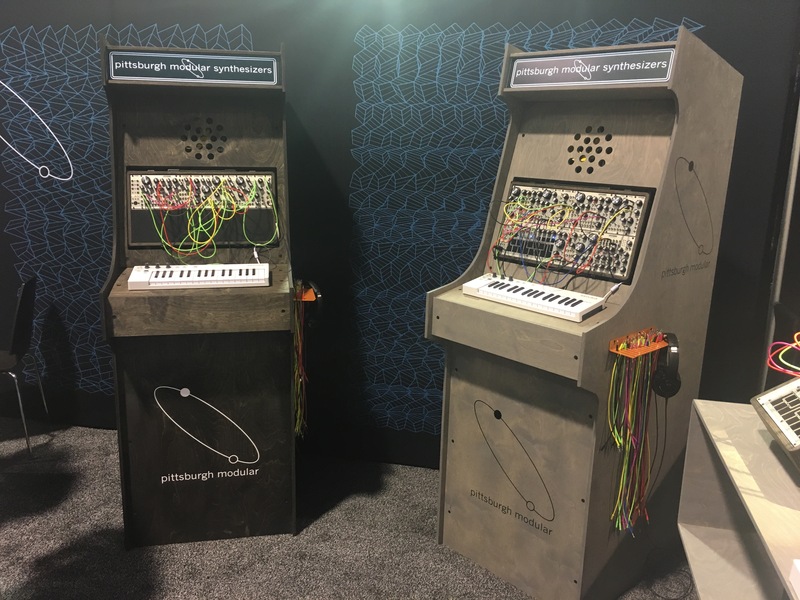 They have built-in speakers and the tall ones have resonating strings. 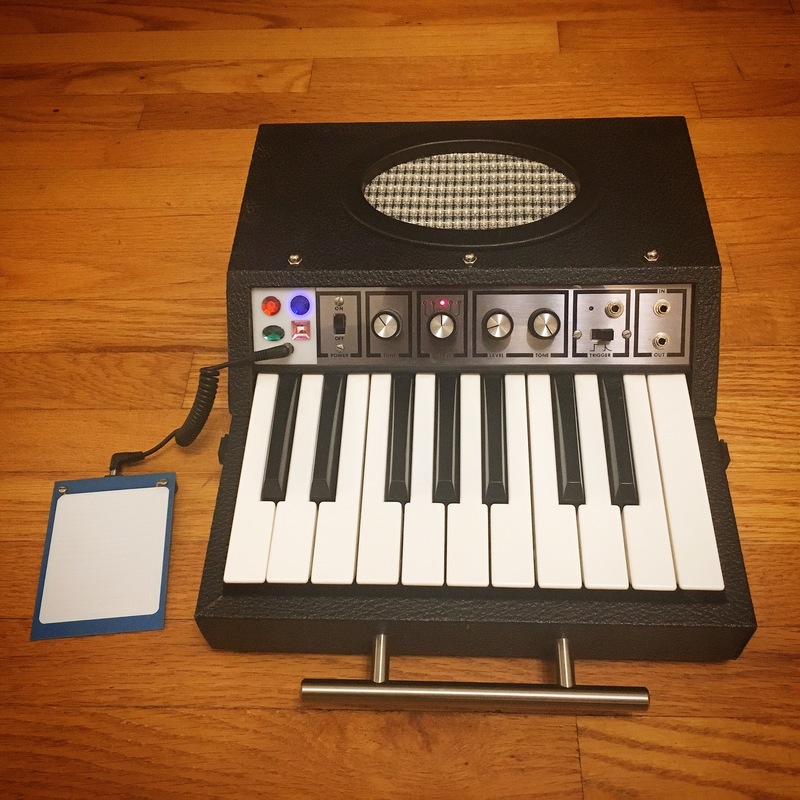 Vintage Vibe make Rhodes style keyboards, but they had a couple new models that also sport a little ribbon synth built in (the ribbon is the silver strip just above the keys). 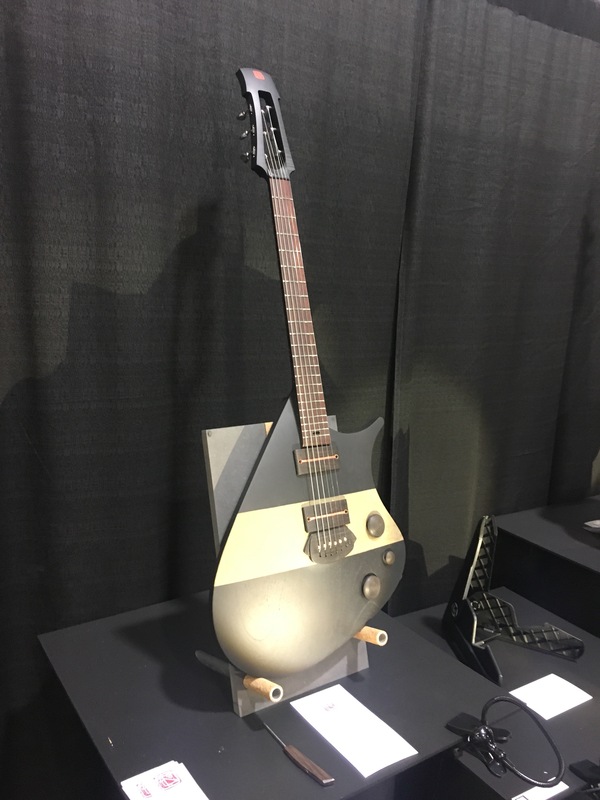 This was a bass model. 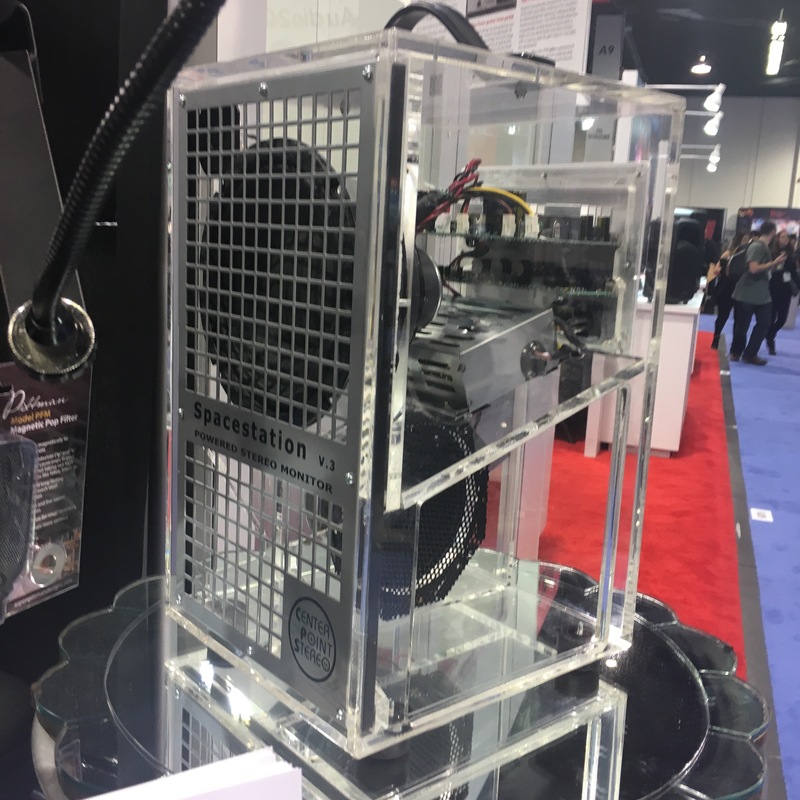 They had the lids off to show the mechanical parts. 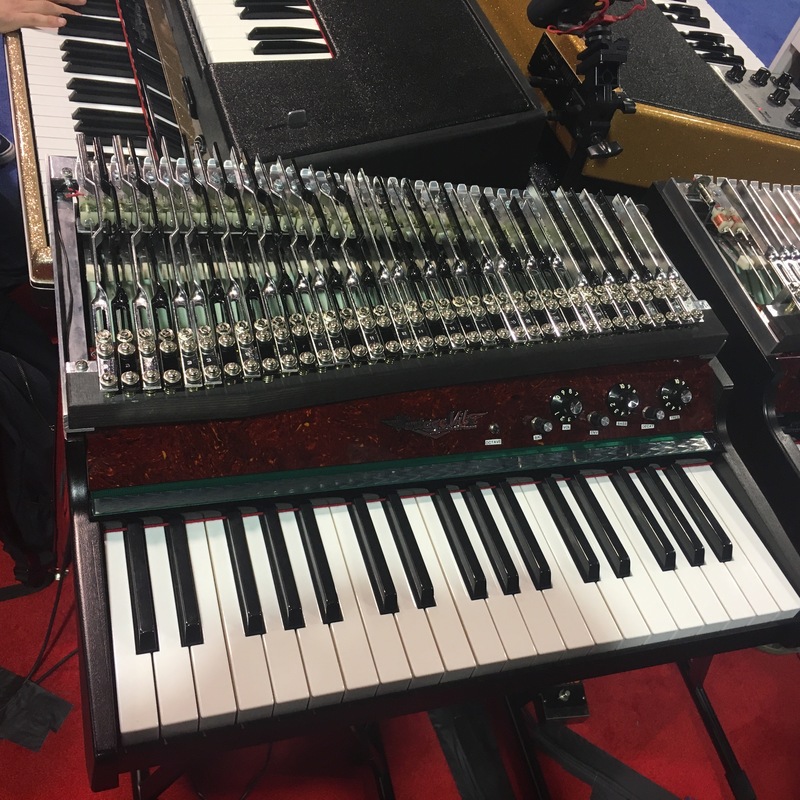 It sounded awesome, especially playing a bass line and occasionally doing a downward slide! A clear demo model of the Center Point Stereo Spacestation v.3. I have an older Spacestaion and love it. It is a stereo amp, but in a single cabinet. If you know how mid-side mic technique works, this is that in reverse! 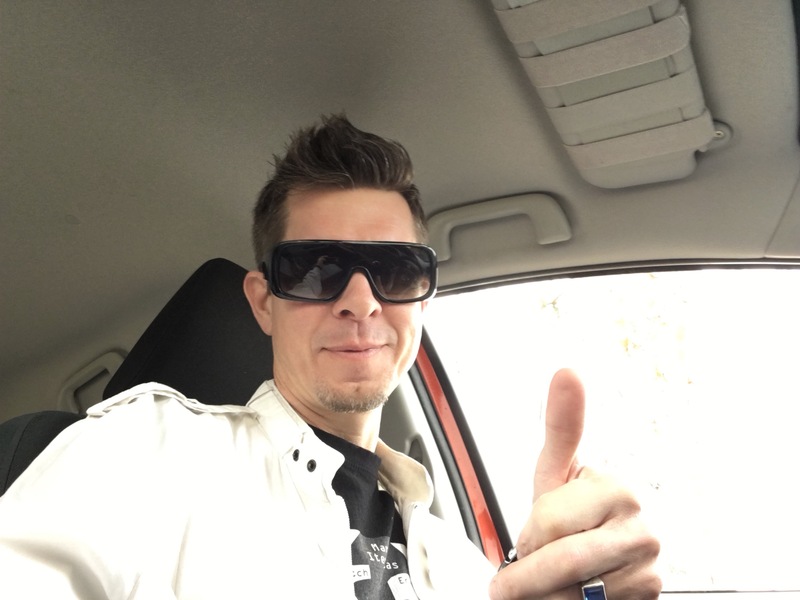 And Lowrey – still in the game! 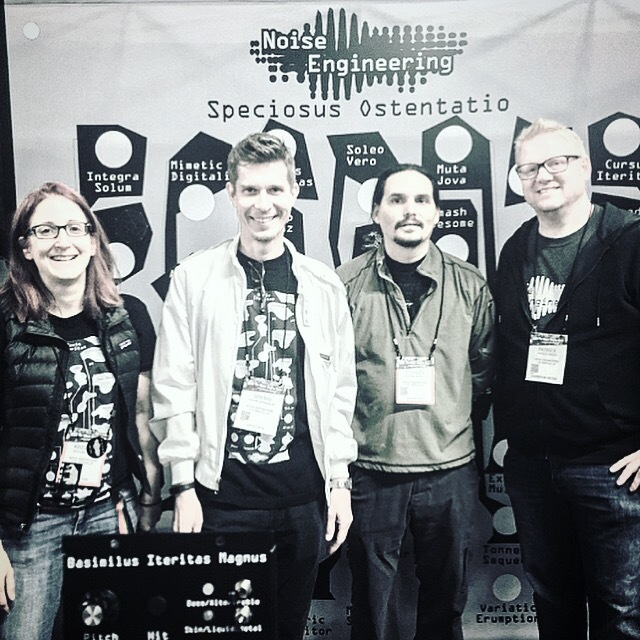 Thank you Noise Engineering for the pass – I had a blast! 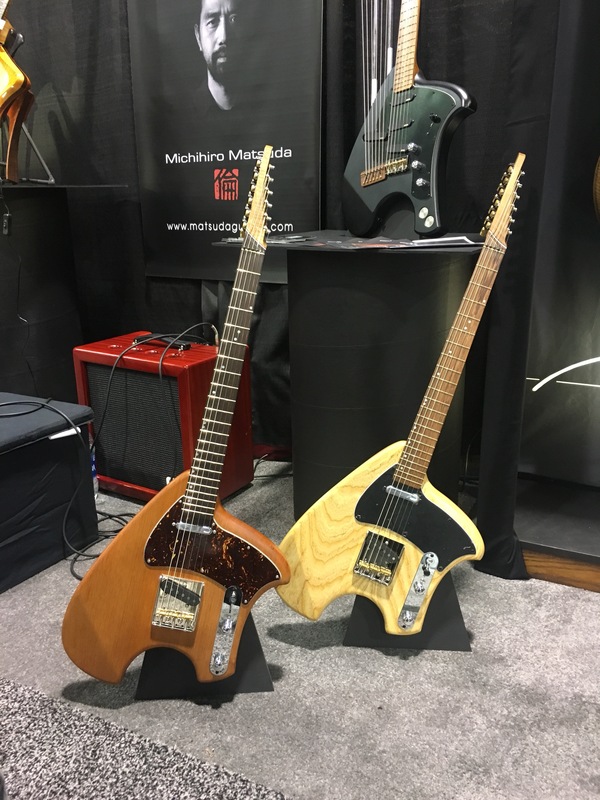 I’ve always wanted a PAiA Oz, and I recently acquired not just one, but two. They both needed some work, but I’ve got the first one up and running. I replaced all the IC chips except for the hard-to-find 50240, added a much needed handle and a Fender Twin style grill cloth, as well as a plate with an underlit power light (to cover poorly drilled holes from a previous owner), added a jack for the pitch bender (as well as one on the pitch pad itself), and switched the output jack for the trigger to 3.5mm. I have new keybed bushings on the way, so the action will be super smooth. 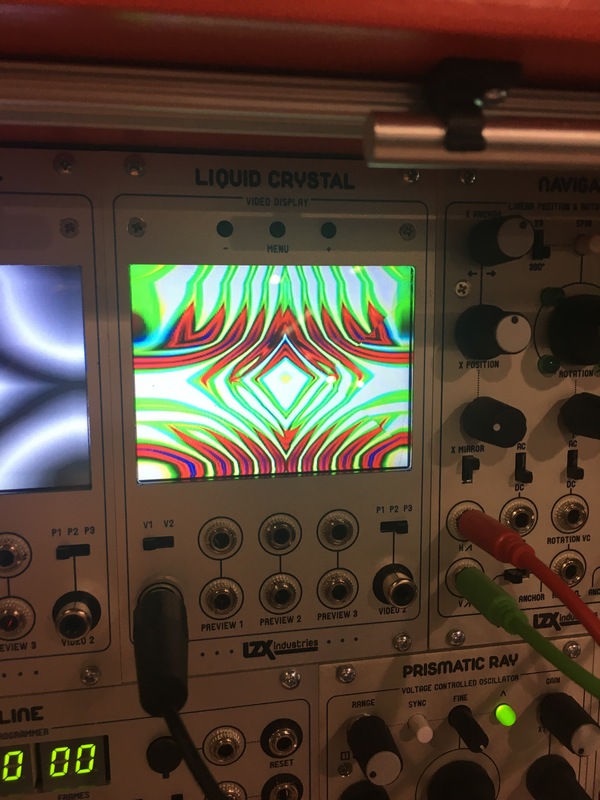 Something cool I’ve discovered is that you can use the output and input jacks as a line level insert and use effects and still use the built-in speaker. 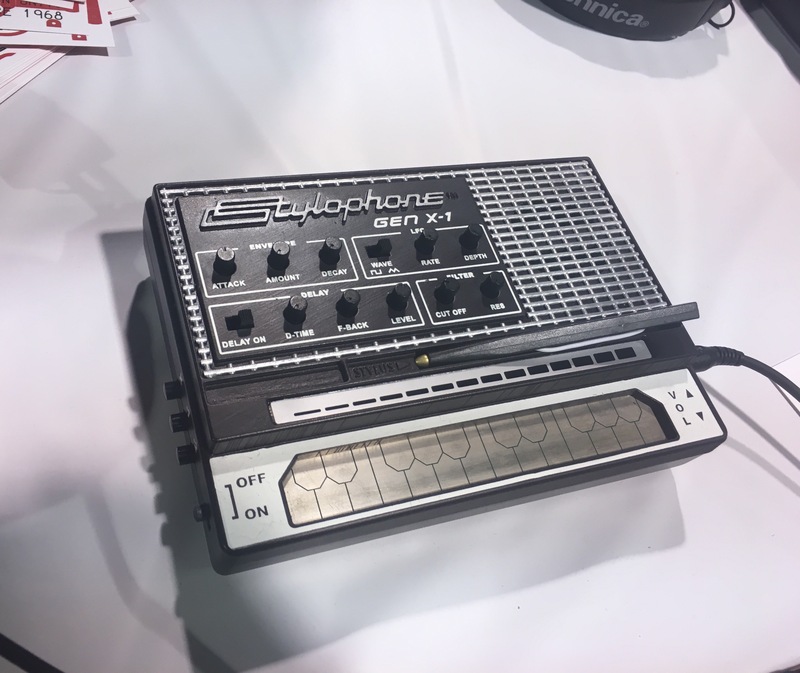 I’m loving this super portable polyphonic full-size-keyed enigma! Soon I will revive the other unit, but it is lacking the 50240 IC. 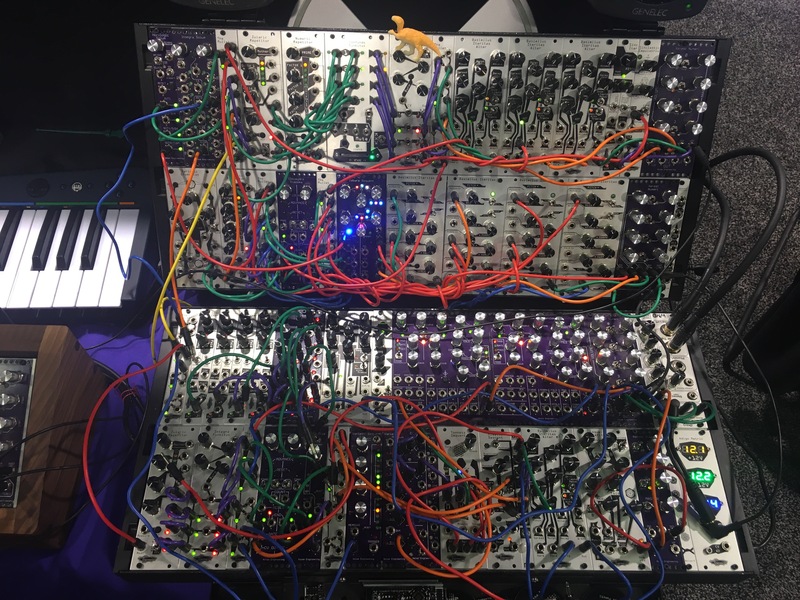 I have been aware of the outdoor modular synth events happening for over a year now known as Modular on the Spot, but my sound design work always has me on the wrong side of town when they are happening. But I finally not only got to attend, but also perform. 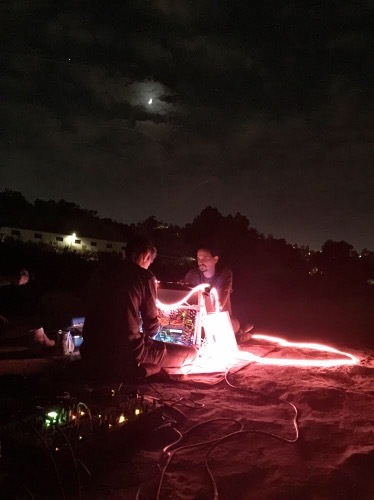 It was super cool hearing all the different sets and playing in such a surreal environment next to the Los Angeles river. 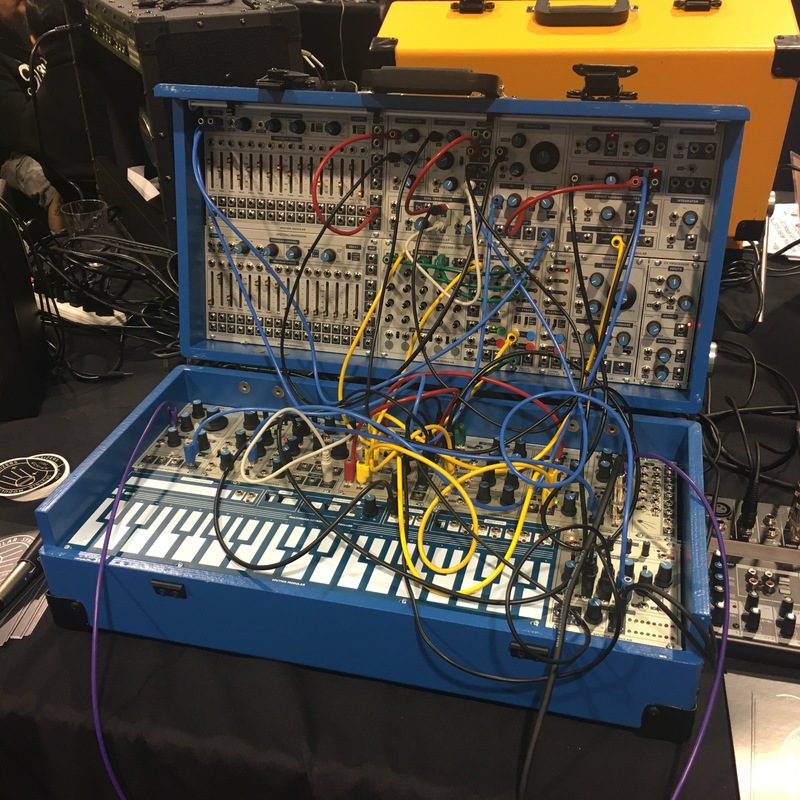 My set up was my main Tiptop 252 case with my custom built ribbon controller. 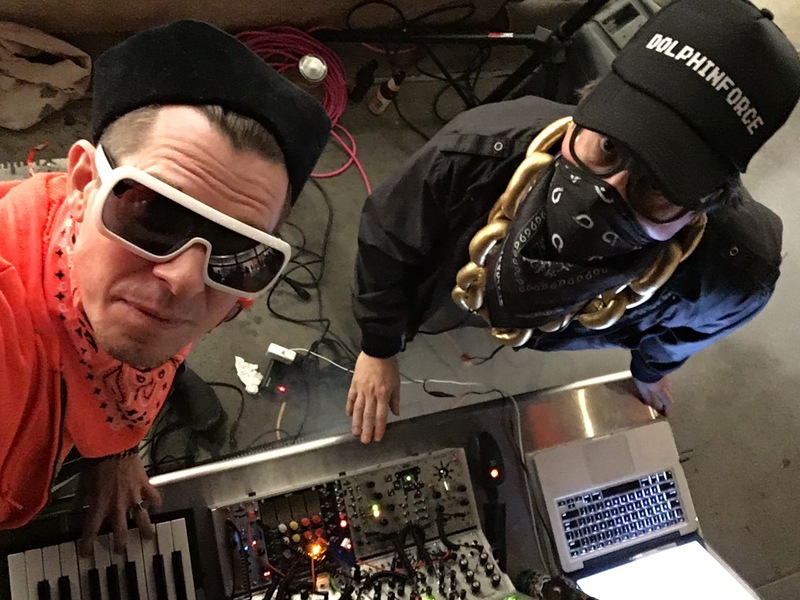 Dolphinforce played an augmented DJ set (the robot couldn’t make it due to threats of rain) at the Gregorio Escalante Gallery in Chinatown, Los Angeles for Robert Xavier Burden’s Original Myth opening. The PAiA Oz even got some mileage that gig. We had a blast! Thanks to all who came down! More spaced-out intergalactic doom soundtracks from Slithis.